Sportcar Motion believes in bringing you only the best of the aftermarket industry. We provide the best products on the market. 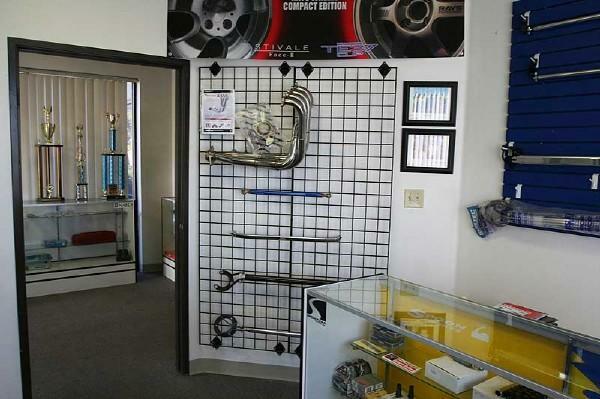 We are an authorized retailer for brands including Spoon sports,Toda racing, Torco, Buddy Club, Greddy, Blitz, Volk, Project Mu, Espelir, RS-R, ARC, Tanabe, and many more. 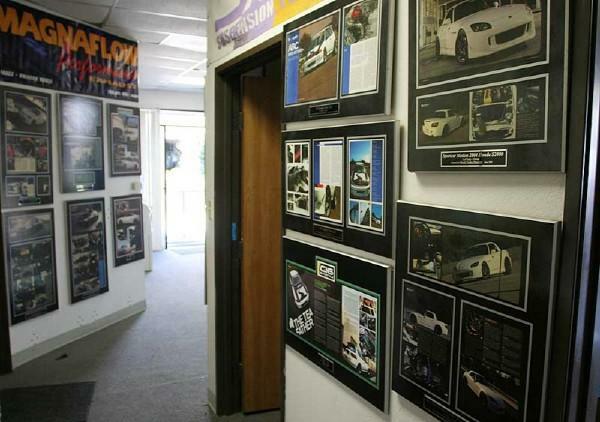 Along with bringing you only the best products, we offer high end service to vehicles, many of which have graced the Front pages of many automotive publications such as Honda Tuning, Super Street, Modified, and many more! At Sportcar Motion we are known for our will to win! Our SFWD drag car was the fastest in its class for the western region until its retirement in 2007. Our current stable of time-attack cars currently hold many wins, and track records for Redline Time Attack, and Super Lap Battle. How did Sportcar Motion get started? Sportcar Motion was started by Loi Song in 2004 after getting that all too familiar Honda itch. Loi had his start in the automotive world in a breed you would have never expected. He was a big Mustang enthusiast prior to finding his destiny in the import world. 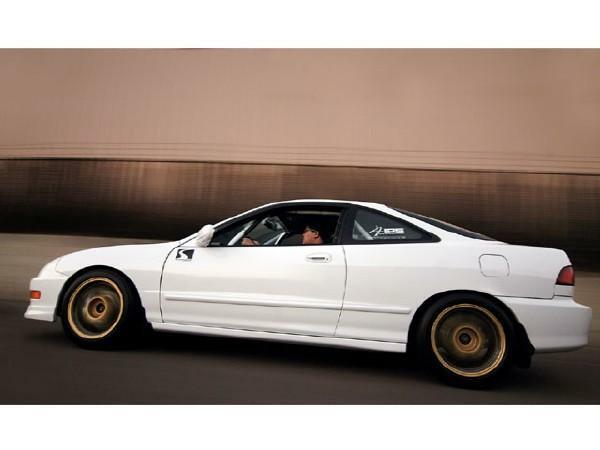 Loi thanks Matt “Rodrez” Rodriguez now editor of Honda Tuning Magazine for turning him on to Hondas. Soon Loi traded his domestic muscle car past in for a new found love of boosted Hondas. Not long after this transition was made, Loi was found on the streets with a pristine capitvia blue Honda Del Sol pushing 11 second passes down the quarter mile. After accomplishing his goals with his SFWD drag car in 2006, Loi moved on to something new. Between 2006 and now, Sportcar Motion has accomplished many goals in its new form of racing, which is what we have learned to reference as Time Attack racing. Spending the past 4 years competing in Redline Time Attack, and Super Lap Battle has taught Loi and his team a lot about not only road racing, but the many needed suspension components and specifics needed to be successful in a time attack environment. Sportcar Motion only believes in selling what they use, and can vouch for. You can see the many products they sell in use at the track, time and time again. Loi needs no introduction. Loi Song is the founder/President of Sportcar Motion. He can be found doing a little bit of everything around the shop, from changing transmissions to sitting in front of his computer enjoying his favorite tea, as he is the “Tea Father” and all.. Loi founded the company in 2004. His upbeat attitude is what has taken him farther then others. Loi is never afraid to lend a helping hand to others in need, he is a very family oriented individual. Loi is extremely determined to reach his goals with constant smile on his face. The only frown around here from the boss is when the tea runs out! Morgan joined her long time close family friend and became apart of Sportcar Motion, acting as Vice President. Morgan’s duties include managing day-to-day operations, marketing, public relations, sponsorship, and managing their race team. She also is the driver of the Sportcar Motion/Turbo by Garrett/Gearspeed SFWD drag car. Morgan traded her long time career in telecommunications for a full-time spot in the industry she loves. Her background consists mostly of drag racing, multiple K-series powered track cars, and most recently into road racing with her Civic Type R. She was raised around cars daily helping her Father as a small child. Her passion for the automotive industry, along with her strong personality and background in business is a great addition to the mastermind that started Sportcar Motion. You can normally find her doing a little bit of everything around here. Romeo is our mechanic on staff for all customer installations and prep for all Sportcar Motion race cars. Romeo joined the team in early 2007. When it comes to anything outside the box, Romeo is the man to go to! His wiliness to go beyond the expectation is what sets Socrates above the rest.